The first woman to star in Doctor Who with a One Direction star as her companion? 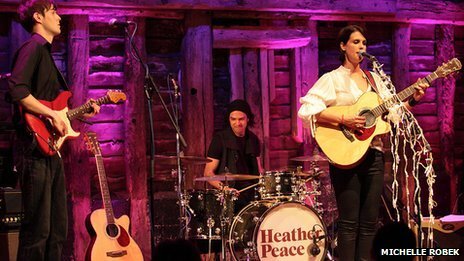 That’s the dream of actress and singer Heather Peace. While the second part of that wish is pure fantasy, the ambition to become the Tardis’ first woman owner is a genuine aim and one she believes is realistic. 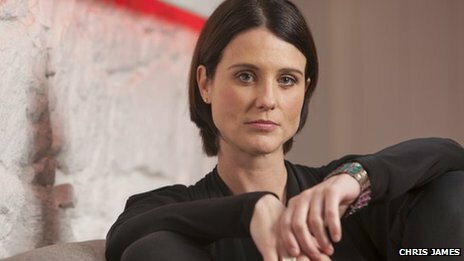 Best known for roles in Emmerdale, London’s Burning, Ultimate Force and BBC Three’s Lip Service, the 38-year-old, who currently plays teacher Nikki Boston in BBC One drama Waterloo Road, wants to add another iconic character to her CV. Following the recent news that Peter Capaldi is to become the 12th Doctor, Peace genuinely hopes her time in the Tardis will come. “I want to be the first female Doctor Who,” she says. “I’m just keeping it as a positive mental attitude. “I think they should turn the whole thing around, I’ll be in my 40s soon and you need to be a bit older with a young male sidekick who is completely in love with her but she’s not interested. Peace grew up in Bradford, and says she knew which career path she wanted to take from a young age. Encouraged by her parents, she headed over the Pennines at 17 to study drama in Manchester before moving back when she won the role of Anne Cullen in Emmerdale. 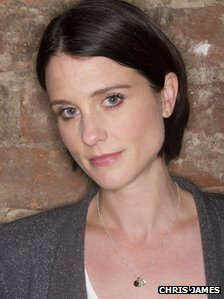 Numerous theatre and TV credits followed, including The Chase, Blue Murder and Holby City, and Peace says she chose to play police officer Sam Murray in Lip Service over a part in a primetime soap opera. “I had a job and it was between taking that on or taking Lip Service and I chose Lip Service,” she says. “That was a key turning point in my career. “It was a shorter job than the one on the soap and it was a risk but I just thought, how would I feel if it was brilliant and I wasn’t in it and I was in the other job? But do not think she is just there to tick another equality box, Peace has never hidden the fact she is openly gay, and admits at times it has been difficult and has shunned interviews when she was starting out in the industry to avoid the subject being brought up. “I didn’t do any personal interviews, but I was never in the closet,” she says. “I was out to my friends and family and everybody in the industry but I didn’t want to get in a taxi cab and the guy driving know, so I just didn’t talk about it. “I was playing piano and singing and acting before I kissed a girl. People see it as something that defines you but straight doesn’t always define someone. Now a patron of Manchester Pride and Diversity Role Models, Peace, who entered into a civil partnership herself earlier this summer, believes times are changing. She has taken that philosophy into the next phase of her career and with two series of Waterloo Road under her belt and the new term just starting, Peace says the show will not shy away from tackling serious storylines. “There’s a real depth to Nikki in this series,” she says. “She is not afraid to wipe the floor with someone. Her first passion, however, is music. Peace’s debut album Fairytales reached number seven in the Official Independent Chart last year and she embarked on a sell-out tour of the UK and Australia. She is on the road again in October, splitting her time between touring the UK, being on set in Greenock, Scotland, for Waterloo Road, and her home on the south coast, before touring Australia in early 2014. “I’m taking a break from the acting for a little while to go on tour and record my album in December. It doesn’t mean I’m leaving Waterloo Road, I’m just taking a tiny bit of time out. “The songs are big tunes but with dark lyrics so my banter with my fans on the night is kind of the opposite to the lyrics of most of my songs – it’s going to be a rip-ride of a journey. A female Dr. Who sounds like a great twist. The TARDIS creates the next doctor when the previous one dies. Perhaps an episode could be written where the Dr. becomes a woman temporarily to try it out.